When we think about Make Spreetail Better, a value from our mantra, we think about committing to our team, sharing in our growth, and building connections with all those who strengthen our vision. It’s this value, and the stories that connect us, that make us so proud to share this news today. "For the last four years we have been specifically focused on building out a best-in-class people strategy around recruitment, development, and engagement, and we feel very excited that those efforts are paying off!” said CEO Brett Thome. Of the vast 830,000 companies with Glassdoor profiles, just 50 small- to medium-sized businesses — identified as those under 1,000 employees — have the honor of being named to this list. What makes this distinction unique is the way these awards are determined. Unlike other awards, there is no self-nomination or application process. Instead, it’s entirely based on voluntary and anonymous feedback shared by our employees on Glassdoor. This information — including authentic insights and opinions about work environment, company culture, and other factors — provides a wealth of information for candidates considering opportunities at Spreetail. It’s through these shared experiences that candidates are able to confidently determine that their opportunity to join our team is not just advantageous for our company, but is a true fit for their own goals. We’re honored to receive this award, not just from Glassdoor, but from all our employees who Make Spreetail Better every day. 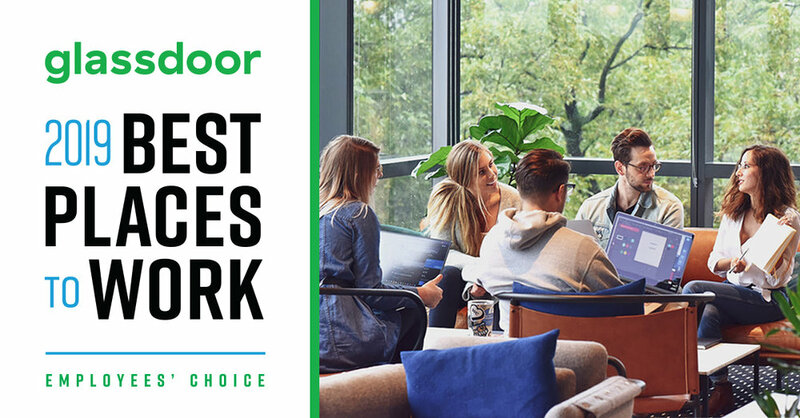 See the complete list of the Glassdoor Best Places to Work winners in 2019.